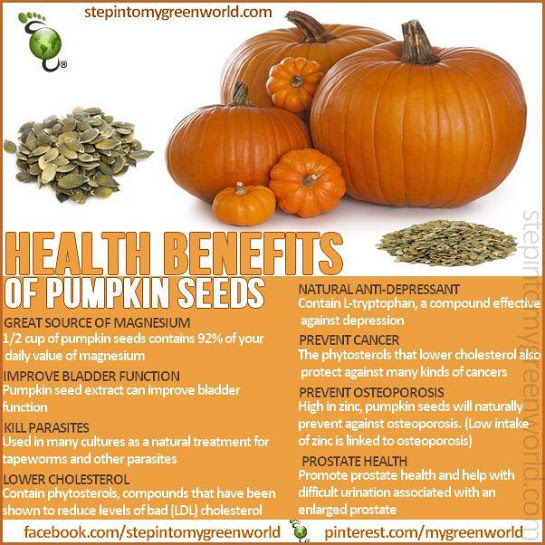 As we move through carving and/or eating our pumpkin, let’s think about the seeds. Let it be known that I am a huge fan of pumpkin seeds. My favorites are tamari roasted pumpkin seeds. I love the salted in the shell ones, too, but I don’t like how my mouth feels after eating a lot of them. Also, I don’t like eating that much salt, either. I thought this was a really valuable infographic on a mineral that we all know about, but not nearly enough. If you click on the picture, it becomes bigger and easier to read. These are under-appreciated little fish. 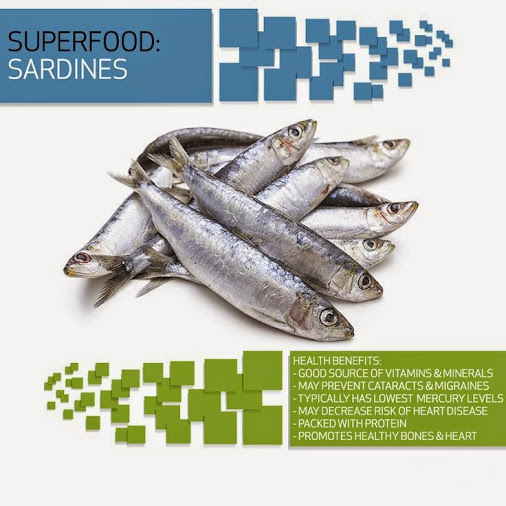 For less than 200 calories a can of sardines will supply you with over 100 percent of your Vitamin B12 requirements, a quarter of B3 and 12 percent of B2. There is also Vitamin D which we have a hard time getting in winter. And, if you have a problem with dairy products, sardines are a great source of calcium. Regular readers know that watermelon is one of my favorite foods in the world. Although I live in a four season city – Chicago, I am able to eat watermelon year ’round because I have access to some good grocers who get it from Mexico in the winter. I eat watermelon every time I ride my bike because it replenishes my energy – besides tasting wonderful! It’s a party in my mouth. Here is a cool YouTube technique on serving a watermelon. Here are some posts for further reading: How Healthy is Watermelon? Watermelon – It’s the Berries! Dr. Oz on Eating Watermelon, Vita Mix – Drinking a Watermelon, Vita Mix – Watermelon Sorbet Recipe, Pay Attention to Portion Sizes, You CAN Have Too Much of a Good Thing. I am a big fan of Chia Seeds. Want to read more about them? How Vulnerable Are Men to Osteoporosis ? Men don’t suffer from osteoporosis as often as women, but they are indeed vulnerable. 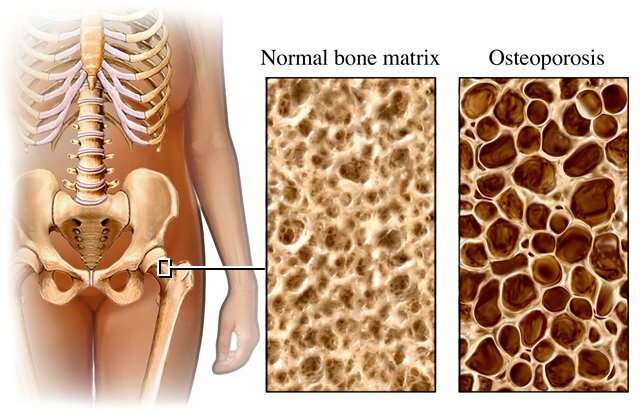 The International Osteoporosis Foundation says that the lifetime risk of experiencing an osteoporotic fracture in men over the age of 50 is 30 percent, similar to the lifetime risk of developing prostate cancer. • About 20-25 percent of hip fractures occur in men. The overall mortality is about 20 percent in the first 12 months after hip fracture and is higher in men than women. • Vertebral fractures may cause equal morbidity in men and women. Hip fractures in men cause significant morbidity and loss of normal functioning. • Although the overall prevalence of fragility fractures is higher in women, men generally have higher rates of fracture related mortality. • As in women, the mortality rate in men after hip fracture increases with age and is highest in the year after a fracture. Over the first six months, the mortality rate in men approximately doubled that in similarly aged women. • Forearm fracture is an early and sensitive marker of male skeletal fragility. In aging men, wrist fractures carry a higher absolute risk for hip fracture than spinal fractures in comparison to women. • In Sweden, osteoporotic fractures in men account for more hospital bed days than those due to prostate cancer. 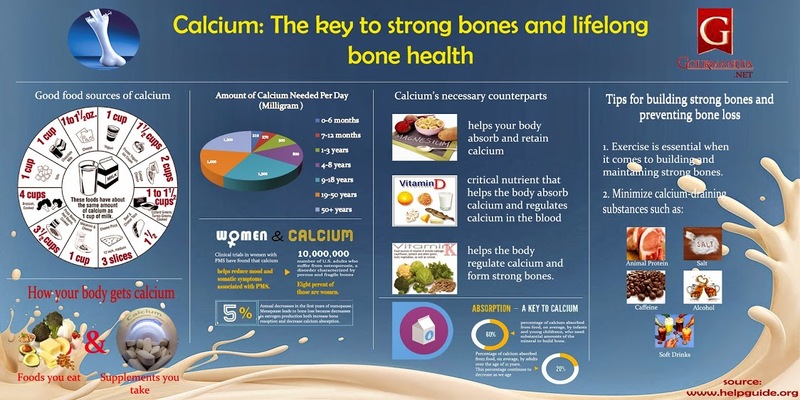 • 30 percent of hip fractures and 20 percent of vertebral fractures occur in men.